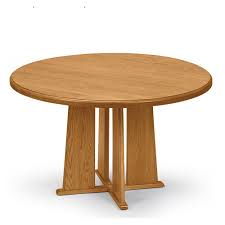 Round Conference offers handcrafted solid oak, including table tops for structural integrity and enduring beauty. Matching chairs available with or without casters and five step hand rubbed finish. Overall: 36" x 36" x 29.5"